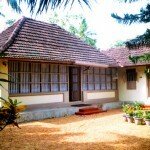 Vembanad Lake Villas is situated in the outskirts of Vaikom, a backwater and canal laced town in Kerala. It is a medium sized town, located on the banks of Vembanad Lake.The famous Vaikom Satyagraha was organized here by Indian National Congress. This town located on the banks of majestic Vembanad Lake was the capital of erstwhile kingdom of Vadakkumku Rajas. Abundance of solitude, dense vegetation with pure air.calm and friendly environment. 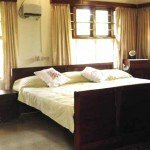 A/c and non A/c rooms with modern amenities and laundry service. Ample ‘green ground’ for conducting party, marriage ceremony etc.